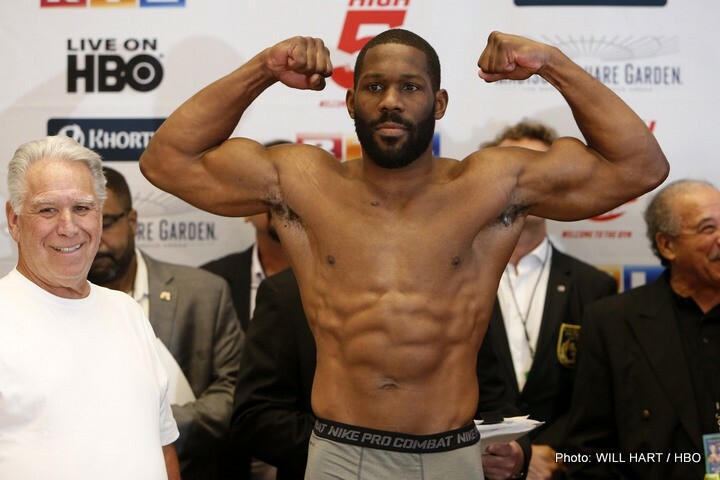 Bryant “By By” Jennings was a part time fighter, working as a mechanic when he first came to the notice of most fight fans outside of his native Philadelphia. What happened? He very graciously agreed to do a Q&A with me in the summer of 2013 when he was ranked number 3 by the IBF, was 28 years old and had a record of 17-0. Back then he was trying to get a shot at Klitschko. His plan according to that Q&A was to be world champion, I’m sure many have had a plan very similar. He eventually got his shot almost two years later when he took Klitschko the full 12 rounds losing on points. Although out-boxed for much of the fight, that loss made the world his oyster. Only one person had taken the champ the distance in his previous 3 defences and that was Povetkin, who is now about to get his big money shot at the new king, Joshua. Dillian Whyte fought and was KO’d by Joshua just over two years ago and is now very highly ranked in most organizations, seen as the No1 for Wilder’s crown and a pay-per-view fight for a Joshua rematch, so why isn’t Jennings seen in the same elite bracket? First fight after taking Klitschko the distance was a tough fight against Ortiz. Whilst Jennings has to be commended for taking such a tough first fight after going 12 rounds with the champ, perhaps going that tough was a little too much too soon, although of course hindsight is always 20/20. (Jennings was stopped in the 7th). Since Ortiz he has had three fights and not one is in the the top 50 in the world, in fact some might say none are the top 100. Jennings is next due to fight Dawejko this month, who is most definitely not in the top 100. What has happened to his previous ambition? Perhaps, it’s a case of playing it safe? Jennings is currently ranked 13 in the WBA and 7 in the WBO, it is not inconceivable that he could fight Joshua in his next defence. There has been lots of talk about a possible defence Vs Miller for Joshua however, I would suggest Jennings has a better pedigree, even if he doesn’t have the better recent CV, or the better ranking(s). So, IF playing it safe since Klitschko is what is happening then it is clearly a formula that is working. Will the world finally become ‘By-By’s oyster? I wish Jennings all the best.